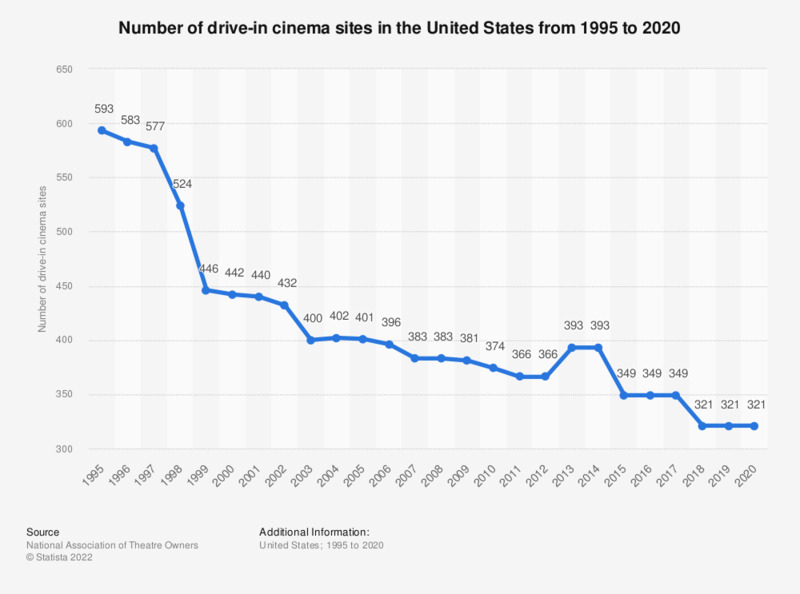 The graph show the number of drive-in cinema sites in the United States from 1995 to 2018. In 1995, there were 593 drive-in cinema sites in the United States. By 2018, the figure had fallen to 321 sites. As many drive-ins are closed for the winter on December 31, drive-in screen/site counts for each year are tallied the previous summer.